It’s been almost four years. The time has flown by faster than I ever imagined, and sometimes, my journey four years ago, actually feels like a dream. But if I close my eyes and focus really hard, I am back for just an instant. I can actually smell the cabbage cooking over the little stove or our clothes soaking in laundry soap. I can feel little arms wrapping around my legs and sweat dripping down my back. I can hear the sound of their worship and hear the noise of the market. And for one short moment, I am back in a far away land I never dreamed of going to. I am back in Kenya. As I prepared for my four month mission trip to Kenya, I spent hours shopping and purchasing everything I would need. Then I spent hours packing and deciding which “necessities” weren’t making the trip. Among them, hairspray, a flat iron, a blow dryer, and all of my make-up and nail polish. For some reason, I believed that I wouldn’t be able to focus on why I was in Kenya if I spent any time on my physical appearance. I was determined to honor God with my body by working hard to serve Him. I came home a couple of weeks before Christmas, my skin extremely darkened by the hot African sun, my hair sun-bleached blonde and frizzy from the extremely hard water, my toenails unpainted, my body weighing 30 pounds more than it did when I left four months prior, and my heart extremely torn and a little heavy. Honestly, I hadn’t felt beautiful for four months. We were constantly proclaiming God’s beauty! But I didn’t feel beautiful. I have battled a struggle of inward beauty versus outward beauty for a long time, believing that there could only be one or the other. Then another Jesus-loving Mama told me that her body was bought for a price. Her body matters to Christ. She went on to tell me that make-up actually draws attention to our countenance, as opposed to our bodies. My body was bought for a price. Jesus not only died for our souls, but for our bodies. And we are called to honor God with these bodies… these tools… that He has given us! God is beautiful. His creation is so extravagantly beautiful. The Grand Canyon, Yellowstone, Niagara Falls, leaves changing color in the autumn and tulips blooming in the spring declare His beauty. They bring glory to HIM. 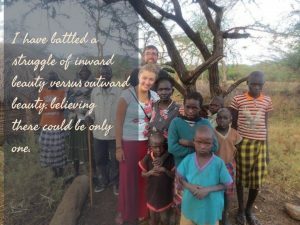 His glory is shown in the warm smiles of those African children and the bright eyes of the Kenyan women I hugged. My precious little girls, and my unborn baby still growing inside of me… the Lord’s beauty is shown through them, too. I’m choosing to allow God to receive glory through my body, but it doesn’t always look the same. Some days giving Him glory looks like messy hair and un-brushed teeth as I sit and sing with my children. Some days His glory will shine through as I put more effort into my appearance to, as my friend reminded, become more relatable and approachable. The truth is that we live in an appearance based world. When I’m taking the time to care about how I look to others, I’m caring about how the gospel is being presented. If I’m engageable and well-presented, I’m offering my best to others on the outside, so they can better glimpse the inside too. Maybe you’re in the same place I was four years ago. or you just don’t feel beautiful. I want to remind you that you are beautiful, feelings or not. Rather than letting your feelings overturn truth, let them rise up to match it. YOU are a declaration of God’s beauty. YOU are perfectly and wonderfully made. God created beauty, and He said that it was good. He created man and woman, in His image, and said that it is very good. So go forth today, and every day following, knowing that you are beautiful, and knowing that it is God’s plan for us to be beautiful. And allow His beauty to shine through you as you give glory to Him with your body. However that looks, no matter how you feel. Did you see today’s photo of me in Kenya? This picture represents so much of God’s work despite how I felt about myself. See that woman I’m next to? She was a widow and social outcast because her son was murdered. I was part of the team that brought her family much needed groceries and I cared for wounds on her legs. It was one of the most powerful moments of my trip. God’s beauty was evidenced in me, despite how I struggled with my own perceptions. He brought beauty and glory where I hadn’t seen it! Thanks for joining us today as we journeyed into Beauty Week Two! Don’t miss out on the discussion below – we’d love to hear your thoughts! Hot, fresh tears stung my eyes as the four walls of the dressing room seemed to close in on me. As quickly as I put the shirt on, I ripped it off of my body, practically throwing it at my mom on the other side of the door. If the shirt wasn’t too tight, it was too short, too low, too sheer, or just plain ugly. I had been here a thousand times before, but the tears still came every time. Trying to dress my uniquely-shaped body left me overwhelmed and exhausted. My grandma always told me that “Pretty is as pretty does”, but I wanted to feel beautiful on the outside. That was long ago, and while the desire to feel beautiful on the outside hasn’t left, I have learned so much about beauty flowing from the love in our hearts. As passionate lovers of Jesus, we are called to love God and love others. What does this love for others even look like? When we learn to love as Jesus loved (because, after all, He is love), then we strive to be patient and kind, to not envy or boast, to knock out our arrogance and rudeness, we pray away anger and selfishness, and practice not being irritable or resentful. But unlike the hottest new trend, the cutest skinny jeans, or latest graphic mom t-shirt, we can’t just wake up one morning, decide we want to look beautiful on the inside, and instantly love everyone. That kind of beauty takes time. And while we strive to be more like Christ, that inward beauty comes naturally. It shows in everything we do, from the way we approach situations, to the way we react to bad news; from the way we treat the slow cashier, to the way we dress. Yes, even the way we dress. and comes across even in the way we clothe ourselves. Think of the ten attributes of love mentioned above. How many of those attributes do we as women struggle with when we get dressed every morning? When love fills us to overflowing, there is no room to be envious of the body our friend’s sister has. With love, there is no room to boastfully dress for others by trying to show off our fleek style. Dressed in love, there is no room to arrogantly show off the features of our body that we love the most or feel the most proud of. We will never perfectly “wear” these attributes of love. we should never be content with where we are. Like finding pleasure in shopping for new threads, our passion to reflect Christ should take up closet space in our hearts. When we lean into His love, we reflect Him clearer, which makes our hearts more beautiful. The more beautiful our hearts become, the more that beauty will overflow into our outward appearance! 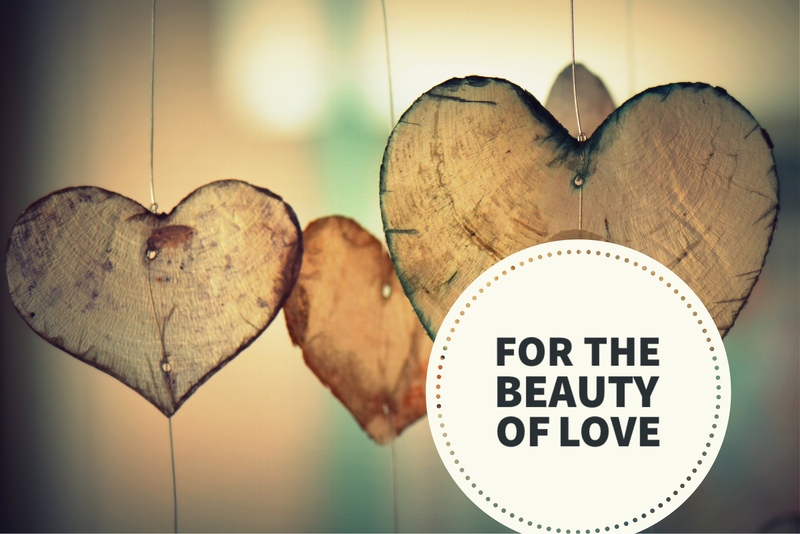 Our love for Jesus directly reflects our beauty! Our love for Jesus directly reflects how we dress! That is beautiful, and that…that is love. The first time I heard of Joey was last summer. My life was upside down and my heart was inside out. I was falling more and more in love with my newborn daughters. One day I found myself surfing Facebook as a distraction from the constant nagging of fear in the back of my mind. My life had turned from joyful mommy-hood bliss to a life of “what ifs” and dread. I clicked on a video of a couple singing on a small quaint stage. A beautiful brunette woman stood at a mic next to her overall-cladded, husband-playing guitar. Their voices blended into a rich, smooth velvety sound. For just a few minutes my mind didn’t think about the “what ifs” and nothing nagged my heavy heart. I was in a trance and quickly fell in love with this darling couple. For months I continued to watch and listen to this dynamic duo while battling my overwhelming fear that came with being a mommy. One morning, Joey’s tragic news appeared on my Facebook feed: her cancer had returned and the prognosis wasn’t good. I instantly thought of a picture her husband, Rory, had shared on their Facebook page. Joey was potty training their little daughter on the side of the road. 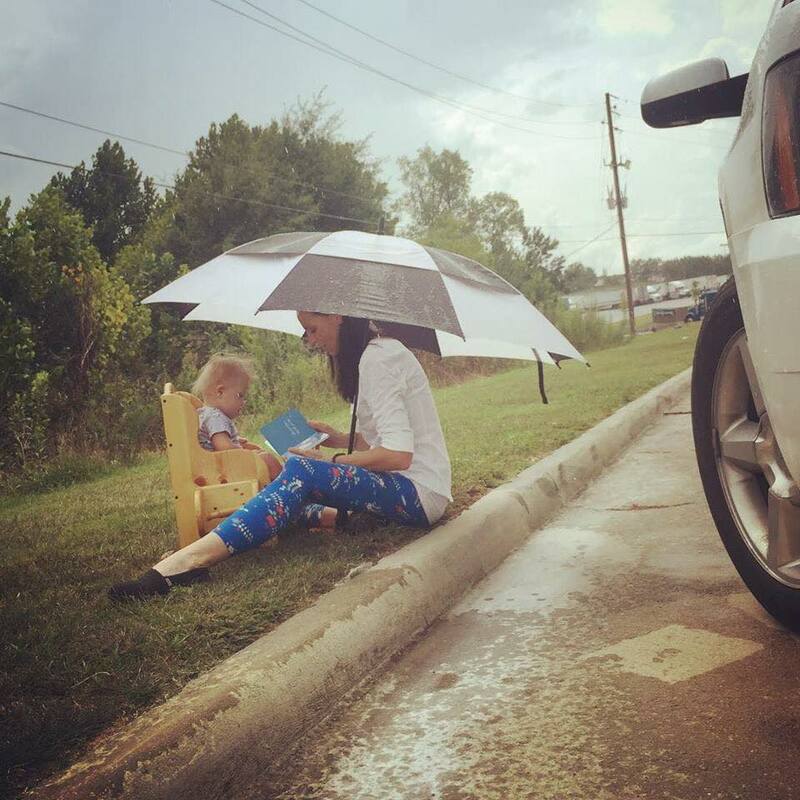 She sat with an umbrella reading a book to her sweet girl. That was a picture of motherhood; that was a picture of love. Tears began pouring as I felt the confusion, hurt, pain, and sorrow Joey must have been feeling. You see, Rory was facing one of my worst fears, that something would happen to me so my daughters would have to grow up without their mommy and I wouldn’t get to be there for them. It was easy for my heart to ache with Joey. I learned something in my few months of being a mama about the beautiful bond that lies between a mama and her child. To read that baby Indiana could lose her mama tore me apart. “My wife’s greatest dream came true today. My heart dropped. My stomach was in my throat. I read Rory’s blog post. I read old blog posts. I read and read while tears poured and it dawned on me. Joey was going to die, but Joey was safe. Joey had no fear because she knew she was safe in the arms of Jesus. She was safe when she battled cancer and she is safe now. 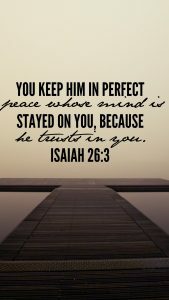 Because being safe isn’t about perfect bodily state, it’s about your spiritual one. Knowing she was safe, Joey could bravely allow her little daughter’s relationship with her father to grow, while she sat back and watched, so that sweet girl wouldn’t miss her mama so painfully. Because her heart was safe, Joey could trust that God held her baby when she no longer would. Spiritual safety allowed the decision that “enough is enough” and freed her to stop fighting and prepare herself to go home. Safety with Jesus gave Joey strength to gather her family and friends around her, hold her step-daughters’ hands and snuggle her little baby to say goodbye, and remind them that they are loved. Joey Feek’s brave example of trust pointed straight to the safety of Jesus, and she taught me to handle my own fears for safety a little differently. for fear cannot come from Him. Thanks for joining us today as we journeyed into Safe Week Three! Don’t miss out on the discussion below – we’d love to hear your thoughts! These are the words that have echoed through my life in every twist and every turn. These are the words that have stood true. 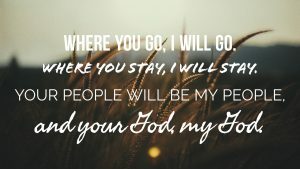 I have found comfort in these words, attained peace, and been reminded of my purpose to serve my King with these words. Esther, a Jewish orphan raised by her Uncle Mordecai, is described as beautiful in figure and lovely to look at. She easily won favor with those she met. And ultimately she saved an entire… Well, we will get there in a minute. Esther lived in Susa, ruled by King Ahasuerus, whose reign extended from modern day India to Ethiopia. He was a mighty king, but also full of himself, who could beckon for anything and it would magically appear. Drunkenly, the king summoned for his queen in the middle of a celebration that he was hosting for all of Susa. She refused to be paraded in front of more drunk men as his objectified trophy. Women from all over his province were gathered, including our beautiful Esther. These woman would spend six months in an intense “beautification process” in preparation for one night with the king. One night to win his heart and, if successful, would also win the crown. Eventually, much to her own dismay, Esther was found to be the most lovely, the most beautiful, and the King chose her to be Queen. Enter the wicked adversary, Haman, who loathed Jews, but had the full trust of our puppet King. So when Haman proposed that there be a mass execution of the Jews, King Ahasuerus willingly agreed, not knowing that his own wife was a Jew. Gripped with fear, but held by the Lord’s hands. Esther held on to a safety that wasn’t determined by status, or a death sentence, but by the Living God. 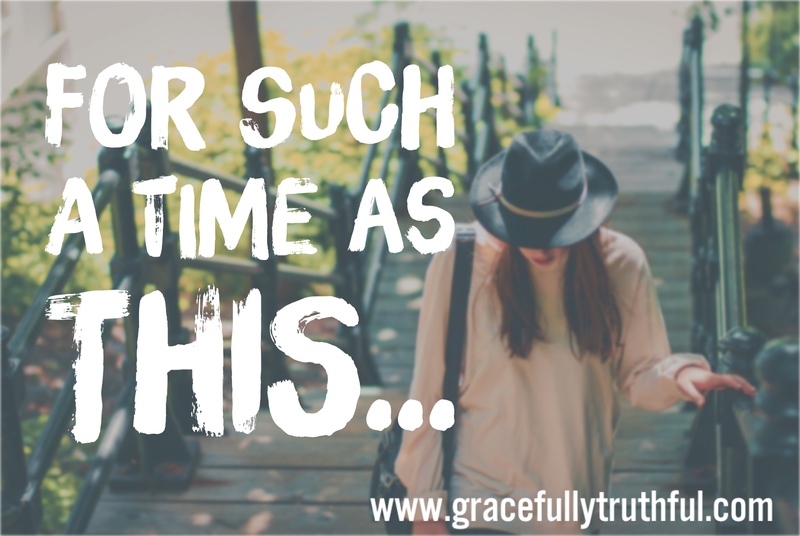 That moment of decision washed up on Esther and she felt neither prepared nor pleased with the process, but her faithful God sustained her heart to choose Him, even if death reigned. She didn’t know the outcome, but she knew her God. “If I perish, I perish”, are words that point to a power greater than herself and she was determined to honor him, whether in life or death….“for such a time as this”. In the end, Esther told the King of Haman’s wicked plans, having been granted life instead of death in the King’s throne room. Haman was killed and the Jews were given permission to protect themselves if anyone tried to hurt them. 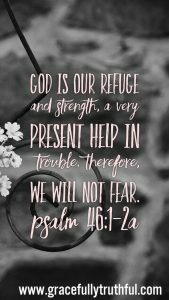 An entire nation was saved by Esther’s brave faith to trust the Lord’s safety instead of her own. 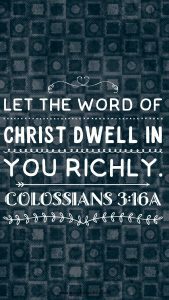 “For who knows that you have been…. Thanks for joining us today as we journeyed into Safe Week Two! Don’t miss out on the discussion below – we’d love to hear your thoughts! “I love you, my sweet one. Everything will be alright.” The words slipped from my mouth just loud enough for my newborn daughter to hear. Although my daughter was 29 hours old, this was the first time I was getting to hold her. I pressed her little body tightly against mine and told her that she was extravagantly loved, she was wanted, the Lord has a plan for her life, despite my fears as she was being sent away to a new NICU at a different hospital. My prayer could easily echo that of a woman named Jochebed. Jochebed, an Israelite slave in Egypt, battled an inward struggle of utter joy and complete dread, for if this baby was a boy, he would be destined for death. Pharaoh, the ruler of Egypt, had forgotten that many years ago, an Israelite had actually ruled as second in command in Egypt. But Pharaoh’s arrogance took over logic as he feared the Israelites would overrule him. First, he made them his slaves. Then, he killed their newborn sons. It was with this backdrop of death, one final push, and a deep moan, that Jochebed’s baby was born. The midwife held him up for Jochebed to see, and like waves crashing a boat in a storm, love and fear crashed against her heart as she realized her new son’s fate. With motherly determination, Jochebed made a decision that could cost her own life: she was going to hide her son. I can imagine how she spent nights nursing him without stopping to minimize his crying, holding him constantly, singing to him often. Nothing was going to happen to her boy. With that, she placed him in a basket in the Nile River and told her young daughter, Miriam, to follow the basket. Pharaoh’s daughter opened the basket as it floated past her and instantly, she was captivated by love. Miriam jumped out from her hiding place and asked if a wet-nurse was needed to feed this baby, and when the Princess nodded her head, Jochebed’s daughter ran to get her own mama, who was then commanded to nurse and care for this baby boy until he was older. The precious love of a Father! To give a boy his mama back, to protect a life, to guard a woman’s heart! ….but saving Moses was So. Much. More. God didn’t want to just save a baby. He wanted to save a nation. He wanted a people called out to be His own. There were countless other Hebrew boys drowned at the Pharaoh’s hand. Thousands of women who prayed for their sons’ lives only to scream with horror at the intrusion of soldier’s feet into their home. These women’s distress reminds me of the very harsh reality that not every one who prays with faith, will see salvation in the way they imagine. 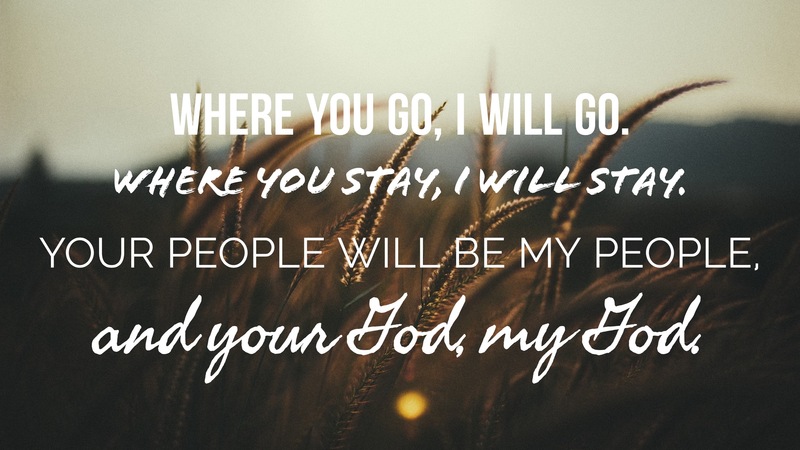 faithful obedience will always, always, always result in God’s Faithful Redemption! Moses was saved to save his people from slavery. So that one day, every Hebrew woman would give birth without fear. Every child would grow up free. Every soul would have access to the Father who loved to redeem them. One incredible day, another Hebrew boy would be born and another death threat would chase down his life. But he would surrender to it. Willfully. So that everyone born into His name would live without fear. Every child, washed in His blood, would know true freedom. And every soul would have access to the Father who loved to redeem. The life of Jochebed is easily overlooked and her name sounds foreign on our lips. But she was a woman of mighty valor! 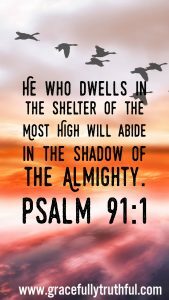 Jochebed’s trust in the Lord for her own safety, and the safety of her precious child, pointed straight to the safety we can all have in Christ alone, despite the circumstances that surround us, no matter how dark! She walked up to me in a crowded, dim auditorium; her wrinkled hands clutched a small book in front of her while her long white hair cascaded down her shoulders. This woman, dignified and well respected in our small town, had known me since I was a small child and had just watched me receive my final awards of high school. She made eye contact with me as her steps hastened. Her hands gently placed a small magazine in mine. I didn’t look at the magazine until I got home. I read “Upper Room” and my gaze lowered to a picture. My eyes burned with hot fresh tears. I immediately knew which story this picture came from, and I knew why God told her to give me this magazine. Because that woman on the cover was me. For the first time in a long time, I opened my Bible to read about the woman caught in adultery. Here was Jesus, sitting on a dusty road in a busy town, while a crowd gathered around to listen to him teach. A group of scribes and Pharisees of all ages, came pushing their way through the crowd with a woman; a woman caught in the very act of adultery. 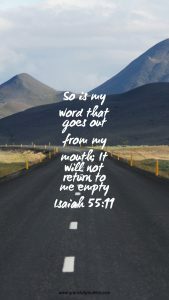 I can imagine a scribe holding her arm tightly, carelessly dragging her along to Jesus, anxious to catch Christ in a trap he was certain was fail-proof. Perhaps Jesus saw them coming and chose unceremoniously at that moment to sit, with humility, in the very dust of mankind. He clearly wasn’t looking for a fight. 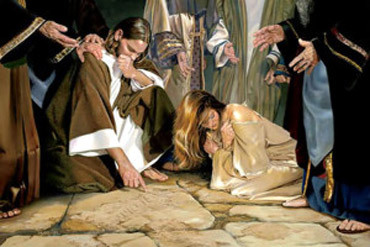 Jesus, without saying a word, bent his head and began to write in the dirt. But they pressed harder. Intent on justice. So Jesus stood and declared that if any of them gathered there were without sin, they should throw the first stone. One by one the scribes and the Pharisees left while Jesus crouched back down and continued to write in the dirt. As each man walked away, a piece of this woman’s fear went with him. The tears rolled heavily as I finished reading verse eleven and held the magazine up so I could gaze at the picture of the desperate woman before Jesus. Here I was, a broken and hurt teenager, living in sin and guilt and shame. I was so desperate to feel loved in a way I had never felt love, that I gave my heart to someone who didn’t deserve it and before I knew it, found myself “caught in the very act” of my own sin. I knew this woman from the Bible, because she was me; a woman so desperate for love that she was willing to do anything to gain affection. Even at the cost of finding herself in the absolute depths of despair, perhaps moments from her own death. Like her, I was not looking to the source of Love. I was looking for love in all the wrong places. But when I finally found myself at rock bottom, all I had to do was look up, and He was there. Love was there. The entire time. And as her eyes lifted to meet Jesus’, she saw Love for the very first time. Thanks for joining us today as we journeyed into Desperate Week Two! Don’t miss out on the discussion below – we’d love to hear your thoughts! Looking for other journeys from this theme? Here’s a link to all past studies in Desperate! I have always been a nomad. By the time I was in eighth grade, I’d been in eight different schools in three new states. Even in my short year and a half of marriage, we have lived in two states and have just settled into our third home. Despite all of the good that came from our gypsy ways, I have longed to belong many times over. I know all too well the strong feeling which can only be described as a form of homesickness, that comes when people around us have history with each other and have known one another for a long time. I know that twisted-knot feeling of wanting to stand out, but wanting to blend in all at the same time. The Bible is speckled with people who didn’t belong: Moses, Jonah, Esther, John the Baptist, and even Jesus! But Ruth’s story is so wonderfully spectacular because in the end, not only did she belong, but she belonged to the lineage of King David. Even more incredible… the lineage of Jesus! Ruth’s life was marked with sorrow. Both her brother-in-law and husband passed away, preceded in death by their own father. She was left as a young widow with her sister-in-law, Orpah, and mother-in-law, Naomi. Their spirits were bound together because of the similar shades of grief, and they found solace in one another’s company. Naomi loved Orpah and Ruth as if they were her own daughters, and longed for them to find new love and new joy in their young lives. With a heavy sadness, Ruth and Naomi kissed their sweet Orpah goodbye. However, Ruth could not be persuaded to leave Naomi’s side. Naomi begged her, pleaded with her, and even tried demanding Ruth to leave and look for love. the reason the Lord chose to bless her. Naomi and Ruth returned to Naomi’s homeland from a lifetime ago. 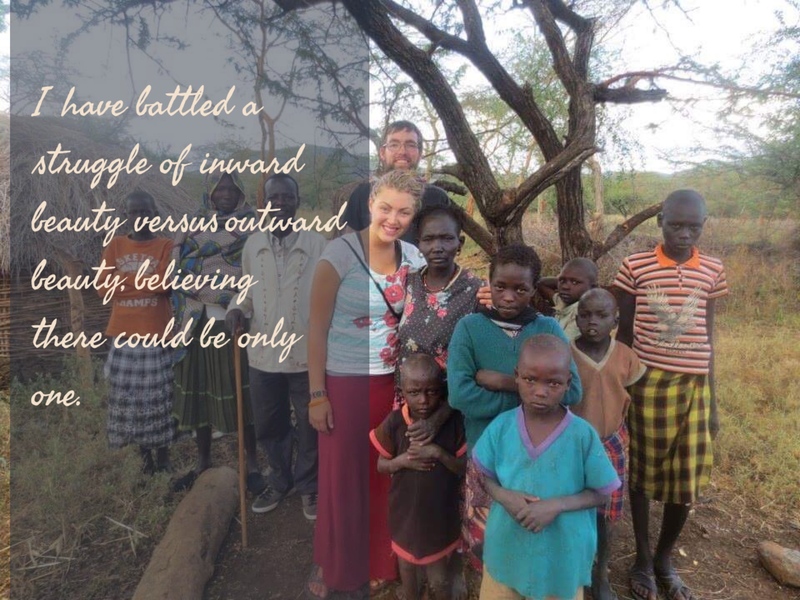 Already an outcast because of her nationality, Ruth found herself at the lowest rank in society because she was a widow. They had no money, no food, and no way to get a job. That is, until Providence stepped in. 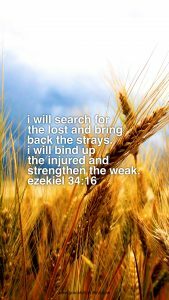 Boaz redeemed Ruth and her family name. He lifted her up from the bottom of society and made her someone who belonged in their city and someone whose name we can find listed hundreds of years before Jesus’. Boaz and Ruth later became the grandparents to a man named Jesse, who had many sons, but called his youngest David. Ruth’s great grandson would go on to slay lions and a giant, rule an entire nation, and be known as a man after God’s own heart. Because of Ruth’s commitment to not only serving Naomi, but serving her God as well, the Lord blessed her! He saw her heart and knew how desperately she yearned for a lasting relationship with her mother-in-law. God saw her trying to blend into a new community. He knew her heart…. and chose to bless her because of her faithfulness. God sent her a redeemer in the form of a kind and prestigious man named Boaz. Through the years I have found myself aching to be accepted by students, friends, other mamas, and ministry partners. So often I forget that I already belong. The Lord has sent me a Redeemer! A kind and prestigious man who lifted me up from my sin and made me someone who belongs to the Kingdom of Heaven and someone whose name you can find written as a follower of Christ. We don’t have to be desperate to belong. Because of Jesus, we already do. Sweat formed on my brow as I bit my lip and took deep breaths, trying to get through this next contraction. The monitor beeped to my right while showing the rate of three steady heartbeats, mine and both of my daughters’. My husband held one hand and my mom sat rubbing my feet. “Thanks a lot, Eve.” I half groaned, half snickered under my breath, waiting for the tightness and pain to ease. She is known for many things, but commonly among us women, she is known as the person who introduced pain during childbirth as a result of her sin. However, she is so much more than that. Eve was created perfectly and wholly in God’s image, meaning everything about her was perfect. She was the first woman to walk this earth, and the first wife and mother. She was the first mother to mourn the loss of one child while feeling the guilt and pain that comes from another straying from the Lord’s will. Out of all the “firsts” Eve experienced, she is most remembered for being the first person on earth to stumble and fall for the devil’s slimy lies. We read about Eve being created as a helpmate for man and we know that she was created from Adam’s rib. Her chat with Satan has gone in the record books and her bite of the forbidden fruit is old news. But it doesn’t stop there. After Eve took that first bite and shared this delicious fruit with Adam, they immediately felt shame for their nakedness and Eve became the first seamstress as she created clothes to cover their *ahem* nether regions. Eve was well aware of her mistake and was so ashamed, that she actually tried to hide from God. Even though the Lord knew the answer, he asked Adam why he hid, and why on earth he was wearing clothes. Adam quickly passed the buck, first to God, by blaming him for even giving Adam this wife of his, and then to the woman, by blaming her for giving him the fruit. “What is this that you have done?” The Lord spoke to Eve, his voice dreadfully dismal as a deep sorrow enveloped him. For the Lord knew that sin would happen, and here it was. Here, his precious children had separated themselves from God. Sin had entered the world. The first death occurred as an animal was sacrificed to cover Adam and Eve’s nakedness. They then had to leave their perfect home forever. I never thought I had much in common with Eve, but she and I have much in common. I, too, have fallen prey to the horrible schemes and slimy lies of the devil. I, too, know how it feels to have made a sinful mistake that has completely changed my life and affected the lives of people around me. I, too, have felt the rejection of man and the embarrassment of being the reason someone else has fallen. 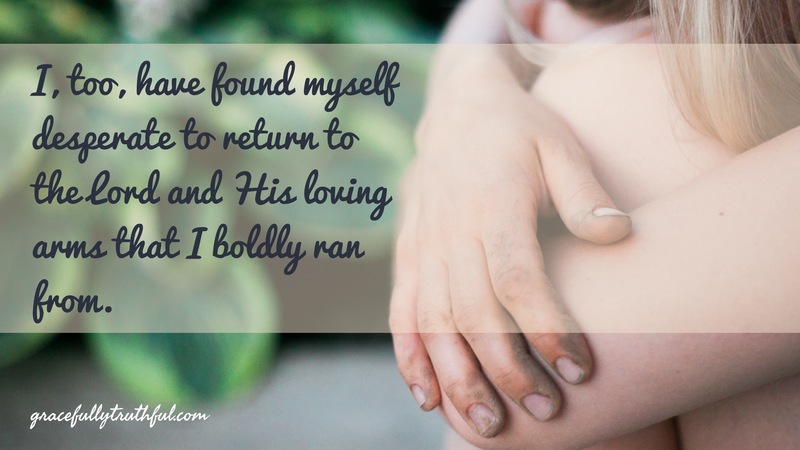 I, too, have found myself desperate to return to the Lord and to his loving arms that I boldly ran from. I, too, have been provided the perfect sacrifice by the Lord, to cover my wretched sins. That sacrifice came in the form of a humble man, instead of an animal. A man who was perfect in every way. The Lord knew my sins, he knew everything about me, even though I have found myself in so much shame that I’ve tried to hide. I’m reminded of the parable in the New Testament where the prodigal son desperately longed to return to his father, and despite his past, he was warmly embraced by his father when he chose to return. Sin comes in many forms, from busyness to disobedience to idolatry to blame. Whatever sin I find myself in, and unfortunately I always will, may I desperately long to return to the Lord, remembering his sacrifice for me, just as Eve so desperately longed to return to life before her fall. Thanks for joining us today as we journeyed into Desperate! Don’t miss out on the discussion below – we’d love to hear your thoughts! Looking for other journeys from this theme? Check out all past studies in Desperate!